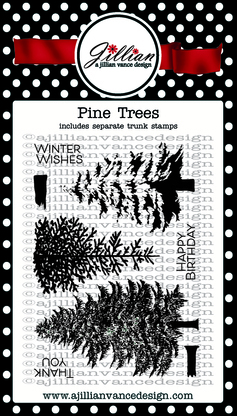 A Jillian Vance Design: Thank You Cards~ Pine Trees! 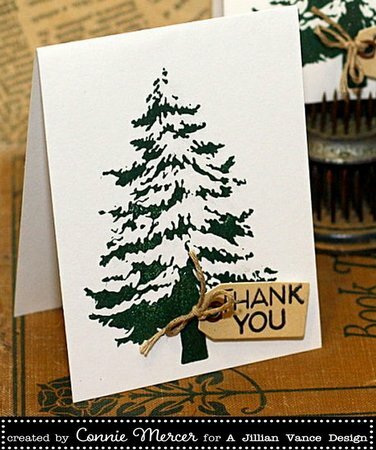 Thank You Cards~ Pine Trees! 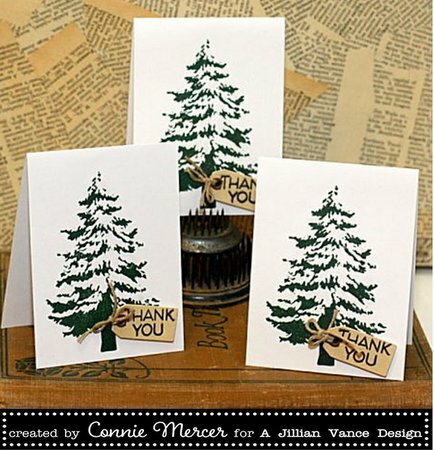 Hi, Connie here with some easy and cute Thank You cards using the Pine Tree Stamp Set by A Jillian Vance Design. 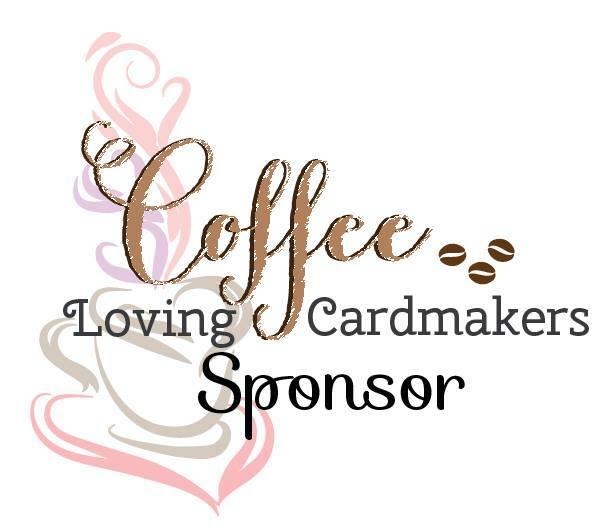 These will be quick and easy and will come in handy after the Holidays! to the tree trunk. 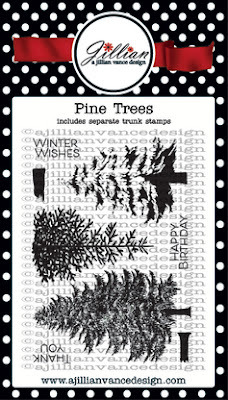 The trees have a little shimmer added, using the Wink of Stella /Clear. These are absolutely amazing! Just so pretty!